With the influx of upscale, gourmet-oriented food options in North Oakland, let’s not forget about all of the family-run holes-in-the-wall and tiny international markets that give many of the Town’s neighborhoods their charm. During a recent trip to scout out the location of a new — and, almost assuredly, fancy — butcher shop and whole-animal restaurant coming to the corner of Broadway and 40th Street, I stumbled upon one such gem: Minto Jamaican Market (4042 Broadway). It’s a small, cluttered market, packed from floor to ceiling with just about every Jamaican food item that you can think of: Scotch Bonnet peppers, ripe plantains, frozen cured pig’s tails, canned ackee, and an assortment of cakes and buns. 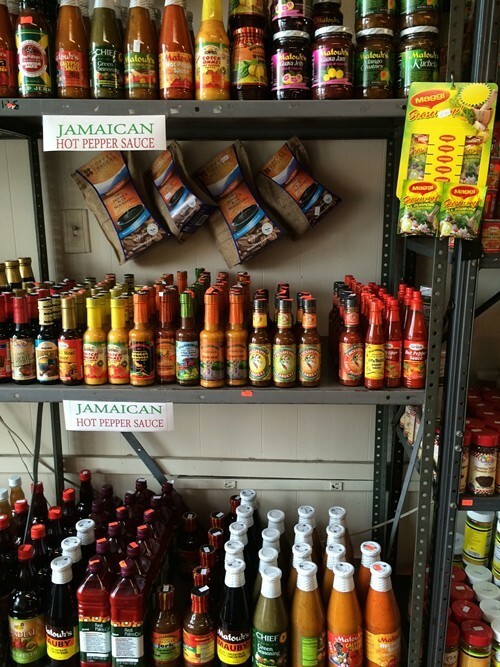 There are three whole shelves dedicated to various brands of Jamaican hot pepper sauce. But for most customers, there’s one item that is worth a taking a detour for: fantastic Jamaican patties, which are shipped in frozen from the well-regarded New York-based Royal Caribbean Bakery, but are baked in-house, so that you can snag one of these empanada-like pastries piping hot at almost any time of day for just $2.25. Roughly the size and shape of an apple hand pie, the patties boasted a crunchy golden-brown crust and tasty, well-spiced fillings, and were hearty enough to make for a light lunch. 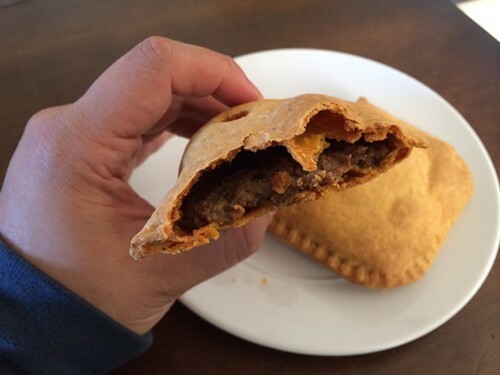 The beef patty filling was surprisingly juicy, with a texture somewhat akin to refried beans. Just as enjoyable was the mixed-vegetable patty, which was like a hand-held vegetable pot pie with a kick. According to owner Cleve Minto, the market also carries curry chicken, jerk chicken, and spinach patties. During my visits, only one or two kinds were in the oven at one time, so if you’ve got your heart set on a certain variety, it’s best to call ahead. It’s worth noting, too, that all of the patties are available frozen. There are worse things you could stock your freezer with.